Born in Naples, Italy, Aladena Fratianno was brought to the United States by his parents, four months later; his family settled in Cleveland, Ohio. Fratianno was smart but disliked school. He began stealing from fruit stands as a child. Fratianno went by the name “Jimmy” because he believed as a boy that “Aladena” sounded like “a broad’s name”. Fratianno earned his nickname “Weasel” as a boy when from running from the police in the Little Italy section of Cleveland. A chase witness shouted “Look at that Weasel run!” and the police quickly attached the nickname to his criminal record, falsely believing it was his alias. As a teen, Fratianno boxed under the ring nickname “Kid Weasel”, but otherwise did not like the nickname and was rarely called The Weasel in person. As a young man, Fratianno became involved in Cleveland’s organized criminal syndicate as a gambler, and illegal casino robber. He married his wife Jewel (Switzer) just before he was sent to prison in Ohio. After he was paroled, he learned Jewel had divorced him while he was serving time-but he later reconciled with her, and they remarried in Ohio. After serving his prison sentence for assault, he helped rob a few businesses to build up cash. He and Jewel (unknown to her) then had a nest egg in their car trunk. Fratianno later said he had about $100,000 when they moved to California. After the Fratianos moved to Los Angeles, he was introduced to Los Angeles mobsters Jack Dragna and Mickey Cohen. After one year in Los Angeles Fratianno would also meet John Roselli, who headed mob interests in the movie industry. After proving his value as a mob earner in Los Angeles, in 1947, in a large secret Mafia ceremony, Fratianno became a made man in the Los Angeles crime family under Mafia boss Jack Dragna. 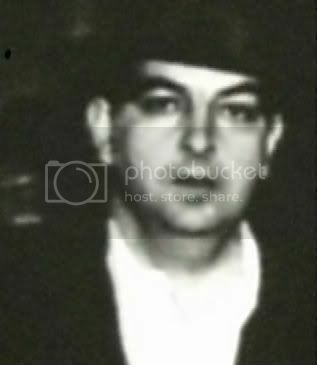 Fratianno worked the various rackets often with fellow Los Angeles mobsters Frank “Bomp” Bompensiero, Leo “Lips” Moceri, Dominic Brooklier and Louie Piscopo. 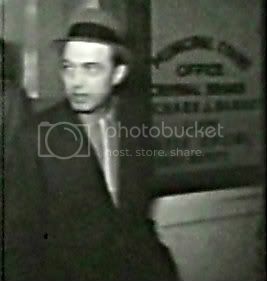 Fratianno was also heavily involved in several mob murders, including the famed 1951 murders of the “Two Tonys”, Tony Broncato and Tony Trombino on Ogden Street in Hollywood. Fratianno also helped execute both Mickey Cohen’s enforcer Frankie Niccoli and Las Vegas and Lake Tahoe casino owner Louie Strauss (Russian Louie) for Las Vegas casino hotel owner Benny Binion. Strauss was attempting to extort money from Binion, so Binion had the Los Angeles crime family kill Strauss. In 1952, after these murders, and because he was earning money for the mob, Jack Dragna promoted Fratianno to caporegime. After Dragna’s death in 1956, attorney and mob capo Frank DeSimone became the new boss of the Los Angeles crime family. Fratianno quickly became dissatisfied with DeSimone’s leadership and in 1960, after serving a 6​1⁄2 year sentence for extortion, Fratianno transferred to the Chicago Outfit. This transfer to Chicago was authorized by John Roselli and Chicago boss Sam Giancana. Fratianno still lived in California, and remained active in mob circles in California, Las Vegas, and Reno, He remained closely associated with mobster Frank(Bomp) Bompensiero. During the 1960s, while still on parole, Fratianno and his wife Jewel started their own successful trucking company. Jewel officially owned the company, while Fratianno was the actual manager. Fratianno Trucking business did well for several years, until the Fratiannos ran afoul of PUC regulations while building a freeway in El Centro, California in 1966. In San Francisco, Fratianno also met famed attorney Joseph Alioto and his trucking business later obtained several loans from the bank Alioto had founded. Fratianno also attempted several times to build, own, or obtain a share in a Las Vegas casino, including the Tally Ho Hotel-which later became the Aladdin. Due to the Nevada Gaming Control Board, those casino efforts failed each time. During this time period, the FBI was constantly monitoring his and Frank Bompensiero’s movements. After hedging for many months, Fratianno started providing inside information on organized crime to the Federal Bureau of Investigation (FBI). In exchange for this information, Fratianno received less scrutiny from law enforcement along with a small amount of money, a total of $16,000. Fratianno’s early FBI information was of limited value and never helped convict anyone. In 1976, when L.A. mob boss Dominic Brooklier was sent to prison, the Los Angeles family offered Fratianno the opportunity to become the co-acting boss with Louis Tom Dragna, so he rejoined the L.A. mob, transferring from the Chicago Outfit. Fratianno was known to have global connections. One such connection was with Australian organised crime figures. In 1976, Australian criminal Murray Riley met with Fratianno in San Francisco, allegedly, to organize drug shipments. The same year, Sydney businessman Bela Csidei also met with Fratianno in San Francisco. The FBI took photographs of this meeting. Fratianno also associated with Australian/Hungarian transport magnate and managing director of Thomas Nationwide Transport (better known as TNT) Peter Abeles. Through Fratianno’s connections with Teamsters and Longshoremen’s unions, particularly with Rudy Tham, a San Francisco Teamsters leader, Abeles was able to use his company to smuggle drugs in and out of the USA, as well as reduce industrial tensions on the waterfront. Fratianno (left) , Frank Bompensiero, Tony Delsanter, and Cadillac Charlie. A list of the confirmed murders that Fratianno committed. 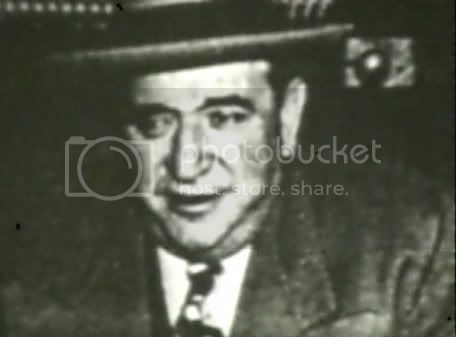 Louis Strauss – Louis (Russian Louie) Strauss was a former casino owner in Lake Tahoe, and a mob connected man who was trying to extort money from Las Vegas casino owner Benny Binion, a friend of Dragna’s. Fratianno set Strauss up by befriending him in Las Vegas, and telling Louis he had $10,000 cash in Los Angesles he would loan him. After driving to Los Angeles with Fratianno, Strauss then walked into a house, where Bompensiero and Fratianno surprised him with a rope, and strangled him to death. (1953) Tony Delsanter from Warren,Ohio was a Cleveland mobster with the syndicate.